Champagne showers or not, Bruce Brochy belongs in Cooperstown. San Francisco Giants manager Bruce Bochy can easily identify with Travis Ishikawa, his sparingly used first baseman. Bochy appeared in just 358 games during a nine-season Major League career. Ishikawa has played in 444 games in his seven-year Major League career. Bochy hit 26 career home runs, while Ishikawa has hit 22 career home runs during the regular season. But last Thursday night Ishikawa sealed Bochy’s entrance into the Baseball Hall of Fame as a manager. Ishikawa, who played one game with the Yankees last year, struck out twice and was booed off the field, smashed a walkoff three-run home run to give the Giants a 5-2 NL pennant winner over the St. Louis Cardinals. The blast off of St. Louis Cardinals reliever Michael Wacha sent the Giants to their third World Series in the last five years. The Bochy-led Giants won the championship in 2010 (vs. Texas) and 2012 (vs. Detroit) and will now face the Kansas City Royals, who have become America’s darlings. This is the first time a Bochy squad has made it to the finals as a wild card entrant. Madison Bumgarner pitched a complete game in the Giants 8-0 win over the Pittsburgh Pirates in the one game NL wild card showdown. As a player, Bochy was best known for the size of his head. Whenever the Houston Astros, New York Mets, or Padres were on television and Bochy was in the lineup at catcher, the conversation would invariably lead to the larger than normal sized pate atop Bochy’s neck and the custom made batting and catching helmets and cap he needed. Apparently the, reportedly, 8 1/8-size baseball cap holds a lot of brains beneath it. You don’t get to the World Series three times in five seasons merely on talent alone. There’s been plenty of teams with talent that never get to the World Series. 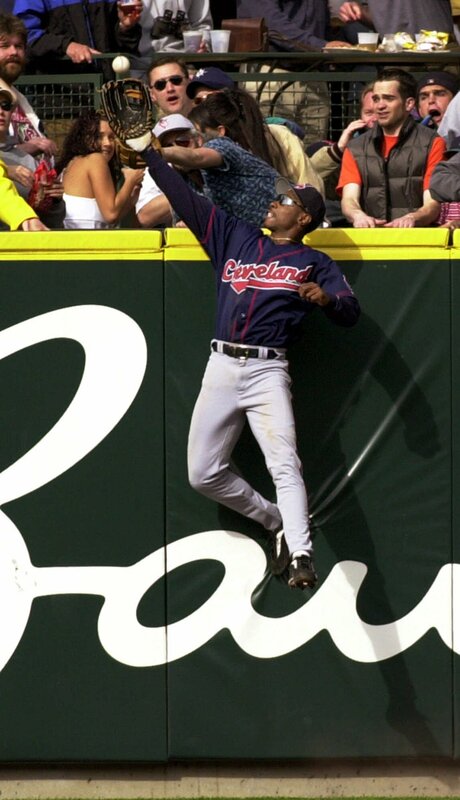 The career .239 hitter was hired to skipper the Padres in 1995, eight years after he had retired as a player. Bochy took over a team that had finished a combined 63 games under .500 with manager Jim Riggleman in 1993-1994 and led them to a 70-74 in his first season, which was shortened by the strike that overlapped from the prior year. A year later, the Padres won 91 and the NL West, and advanced to the playoffs for the first time since the team won the NL pennant in 1984. They were swept in three games by the Cardinals, losing a one-run game and a pair of two-run games. 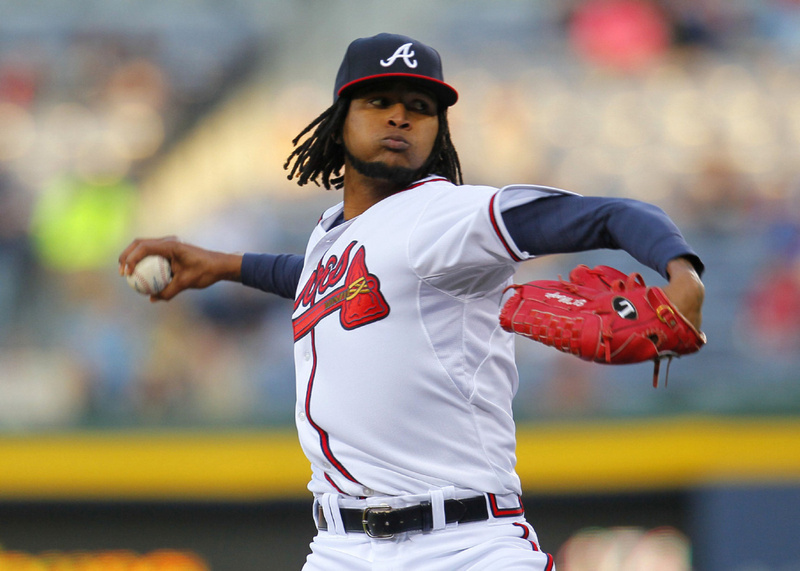 After a subpar 1997 season, the Pads won 98 games, beat the Astros in the NLDS (4-1), and the Braves in the NLCS (4-2) to capture the second NL pennant in club history. The Padres had the unfortunate task of then going up against the New York Yankees, who had won 114 regular season games. After blowing a 5-2 lead in Game 1, the Padres were swept by the Yankees in four games. San Diego didn’t make it back to the playoffs until 2005, where they were swept in the NLDS and lost three of four in the following year’s NLDS as well. After the 2006 season and 12 years at the helm in San Diego, and with one year remaining on his contract, the then-51-year old Bochy decided it was time to move on. The Padres granted permission to the Giants to talk to Bochy about their managerial opening and he agreed to a three-year deal to move to northern California. The Giants had lost the 2002 World Series to the Angels in seven games, but made the playoffs just once more in the next four seasons under manager Felipe Alou. Bochy kept Alou’s pitching coach Dave Righetti, bullpen coach Mark Gardner, hitting coach Joe Lefebvre, and bench coach Ron Wotus. All four remain in their position today (Lefebvre moved to the front office as a senior advisor and serves as an assistant hitting coach to Hensley Muelens) as does Tim Flannery, who joined Bochy as third base coach in 2007 after having served in the same position for part of Bochy’s time with the Padres. After 71- and 72-win campaigns, the Giants won 88 games in 2009 and were World Series Champions a year later. 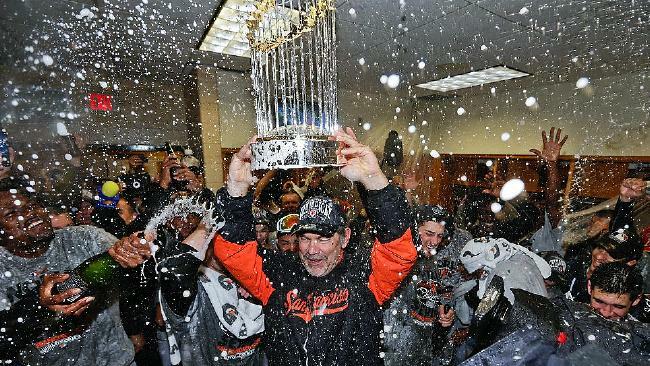 Two years later they captured 94 victories and their second title under Bochy. Though he has won only one Manger of the Year Award, he certainly has been deserving of more (perhaps this year he’ll add a second). Bochy has compiled a 1618-1604 regular season record (18th all time in wins) in 20 Major League seasons, 2 World Series titles so far and four pennants. 12 of the 17 managers that have won more games than Bochy have been elected to the Hall of Fame. Of the five not in the Hall, only Ralph Houk matches Bochy’s two World Series titles. None of the five can match the four pennants that Bochy-led teams have won. Other than the ’98 Padres, which featured Greg Vaughn, Kevin Brown, Tony Gwynn, and Trevor Hoffman, Bochy’s teams in San Diego were not talent laden. Ownership was more into keeping a low payroll than obtaining/keeping talent. The 2000 San Diego roster was drastically different than the 1998 squad despite just two years between. Bochy has had more to work with in San Francisco, especially when it comes to the Giants’ pitching staff. He also has an ownership that will spend a little extra money here and there, and a front office, led by GM Brian Sabean, that has done a good job of development of home grown talent. Whether Bochy wins or loses this year’s “Fall Classic”, he should have already earned his place in Cooperstown. Perhaps on a larger plaque. It has been 29 years since the Kansas City Royals reached the postseason. 1985 saw the Royals win their one and only World Series Championship. (With a little help from umpire Don Denkinger.) 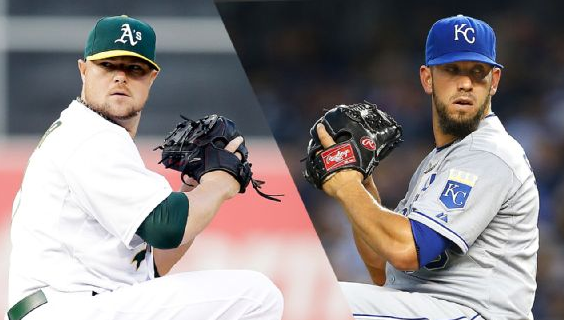 Tuesday night, the Royals will host the Oakland A’s in a one game showdown between the two AL Wild Card winners. To the victor go the spoils and a divisional round match up with the Los Angeles Angels. You know where the losers go. The A’s have been to the playoffs 11 times during the Royals drought, but haven’t been to the World Series since 1990. Their last World Series title, the ninth in franchise history (The first five were won when they called Philadelphia home), came in the “Earthquake series” with the San Francisco Giants. The Royals were an expansion team in 1969, two years after the A’s departed Kansas City after a 13-season run. The only prior postseason meeting between the two squads came after the strike-shortened 1981 regular season. The Billy Martin-managed A’s swept KC in three straight games before they were swept in three games by the New York Yankees in the ALCS. It was a disappointing end of the season for Kansas City, which lost the World Series to the Philadelphia Phillies one year earlier. Tuesday night, the teams will have one chance to move on to the divisional series. That is the punishment in Major League Baseball for not winning your division. The Royals are counting on their ace, James “Big Game” Shields, who earned that moniker while a member of the Tampa Bay Rays, to take them to the next step. The Rays’ usual money crunching resulted in a trade that sent Shields and reliever Wade Davis to KC for then prospects Wil Myers (now a regular in the Rays’ lineup), pitchers Jake Odorizzi (now a regular in the Rays’ rotation) and Mike Montgomery. Shields, a free agent after the season, has been incredibly consistent in his two seasons in the state of Missouri. He followed up a 13-9, 3.15 campaign in 2013 with a 14-8, 3.21 mark this season. The 32-year old has topped 200 innings in eight straight seasons, and pitched just 1.2 innings less this year than he did in 2013. He’s made at least 33 starts in each of the last seven seasons, a testament to his durability. A 16th round pick in the 2000 MLB amateur draft, Shields has had his ups and downs in six post-season appearances. He put his team in a 3-1 hole in the 3rd inning of Game 1 of the 2008 ALDS, but the Rays rallied for a 6-4 victory. Shields picked up the victory and settled down, before departing in the 7th inning. Though he lost both of his starts in the ALCS, which Tampa Bay won in seven games, Shields lost the opener to Boston’s Daisuke Matsuzaka, 2-0. He didn’t fare as well in a 4-2 loss in Game 6. Down one game to none in the World Series, Shields tossed 5.2 shutout innings to help Tampa even the series with the Philadelphia Phillies at a game apiece. Shields didn’t get another chance to pitch, however, as the Phillies closed things out in five games. Shields will need to be at his best for the one-game playoff, because his counterpart is one tough customer. Jon Lester has a pair of World Series rings, but his victory over cancer is arguably his biggest win. 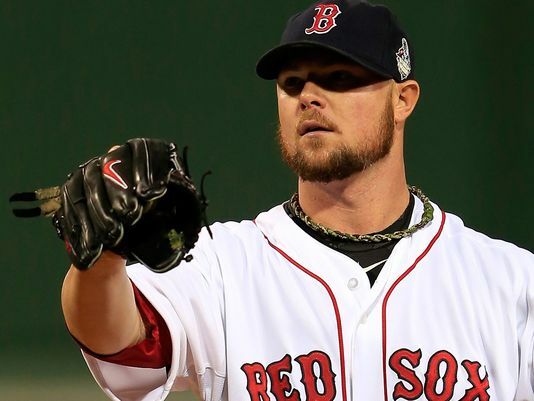 After treatment for Non-Hodgkin’s Lymphoma, Lester returned to the Boston Red Sox in 2007 and threw 5-plus shutout innings in Game 4 of the Red Sox World Series sweep over the St. Louis Cardinals. Like Shields, Lester has been a model of consistency in his career. He’s topped 200 innings in six of the last seven seasons and may be having his finest season to date. Lester put up career bests in innings pitched (219.2), ERA (2.46) and walks per nine innings (2.0). He averaged better than nine strikeouts per nine innings, allowed 0.7 home runs per nine innings, and was named to his third All-Star team. For someone that played for over eight years in a baseball hot bed such as Boston, it’s hard to believe how little Lester is talked about when the names of the best pitchers in baseball come up. Jon Lester is ddefinitelyone of them and that will be reflected this coming offseason when the free agent to be hits the open market. Lester had a tough decision as the trade deadline approached this past Summer. Stay in Boston, destined for last place, or go somewhere with a chance to make the postseason and possibly return to New England over the Winter. Lester chose the latter and produced a 2.35 ERA in 11 starts, of which he won six. Through no fault of his own, Oakland plummeted out of first place (14-23 in their final 37 games) in the AL West and ended up 10 games behind the Angels. Instead of preparing themselves to play the winner of the Wild Card play-in, and trotting out Lester, Jeff Samardzija, Scott Kazmir, and Sonny Gray, the A’s will lean heavily on their left-handed ace to give their starting rotation the chance to flex their pitching muscle. They have a good chance to move on with Lester, who enters the game with a 2.11 ERA in 13 playoff appearances, 11 of them starts. Two big names for one very big game. For the past few decades, the Kansas City Royals haven’t exactly been regarded as the team to beat. They’ve tended to stay toward the bottom of the pack during the regular season and then remain quiet in the ensuing offseason. 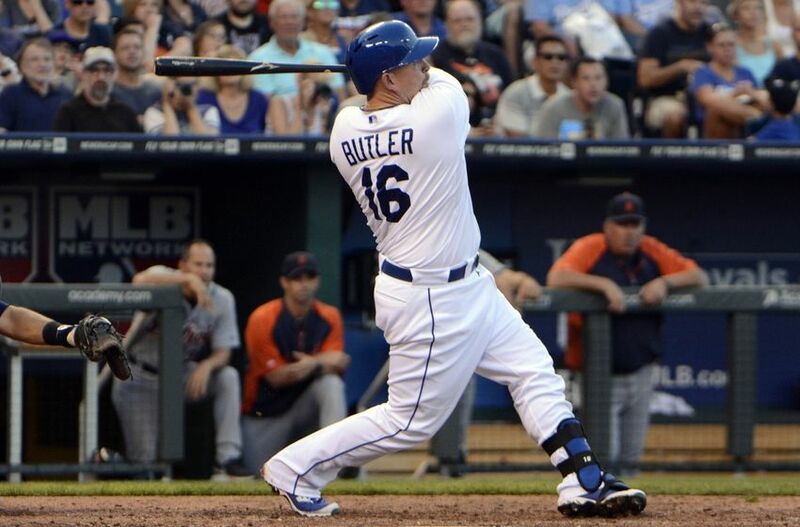 2013, however, was a completely different year for the Royals, as the team had a legitimate chance to make the playoffs in the final month of the season. Although the postseason didn’t happen for the Royals, an 86-76 mark was their best record since 1989 and was good enough for a third place finish in the AL Central. This past season put some faith back into the organization and gave Royals fans something to hope for. With young stars Eric Hosmer (.801 OPS-17 HR-76 RBI-Gold Glove)), Mike Moustakas (12 HR), Salvador Perez (.757 OPS-13 HR 79-RBI-Gold Glove), Alex Gordon (.749 OPS-20 HR-81 RBI-3rd straight Gold Glove) and veteran Billy Butler (.757 OPS-15 HR-82 RBI), the Royals have an offense and defense to build around. They’re also looking for a breakout year from center fielder Lorenzo Cain. The organization made moves this offseason to keep that faith alive among the fans and the team’s progress moving forward. Two of the biggest problems faced by GM Dayton Moore were right field and second base. Both Chris Getz and David Lough left the club, leaving these spots vacant. The Royals did exactly what was needed, signing free agent second baseman Omar Infante and acquiring Norichika Aoki from the Brewers for pitcher Will Smith to take over the spot in right field. Infante, considered to be one of the best second basemen in the league, should be able to help the Royals both defensively and offensively during the upcoming season. With the departure of free agent starter Ervin Santana and ace James Shields entering the final season of his contract, the Royals were also faced with a pitching problem. They filled the void left by Santana when they signed veteran Jason Vargas, though he isn’t going to give the Royals the same type of performance that Santana did.2 Luckily for the Royals, not all players have to come from trades in the big leagues. The Royals minor league system is deep in starting pitchers, most notably Kyle Zimmer and Yordano Ventura. 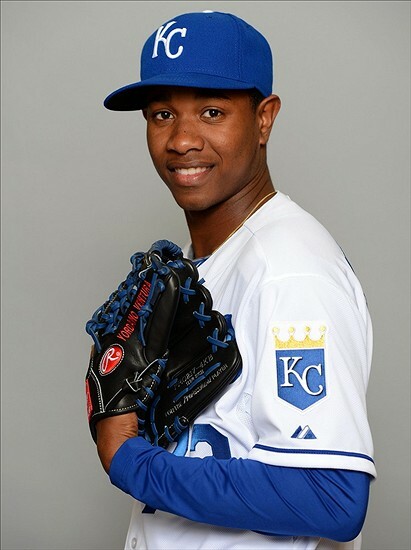 The 22-year-old Ventura is currently competing for the fifth and final spot in the starting rotation, joining Shields, Jeremy Guthrie, Vargas, and Bruce Chen. The native of the Dominican Republic, who made his major league debut last season with the Royals, is “ready for the major leagues,” according to Moore. Throwing upwards of 100 mph, Ventura is likely to find a place in the bullpen if he doesn’t win the fifth spot in the rotation. Zimmer and Ventura are at the top of the Royals promising future and both were ranked in Baseball America’s Top 100 Prospects List.1 Moore hopes they’ll be joined by talented prospects, including Raul Mondesi and Jorge Bonifacio, give the Kansas City Royals hope that their future is looking favorable. After their best season in over 20 years, the Royals know that the team has a chance to do something amazing. With their offseason acquisitions and development of prospects, it appears the Royals now have the tools to make 2014 a defining season.